This 29x37mm Flower Jasper Designer Cabochon features a soft brown and cream color. It has a western look and would be a good cab for casual or western fashion jewelry. This flower jasper cuts, polishes, and looks like porcelain. It’s nicely cut, highly polished, and slightly beveled in the back to facilitate setting. This flower jasper was found in South East Oregon. 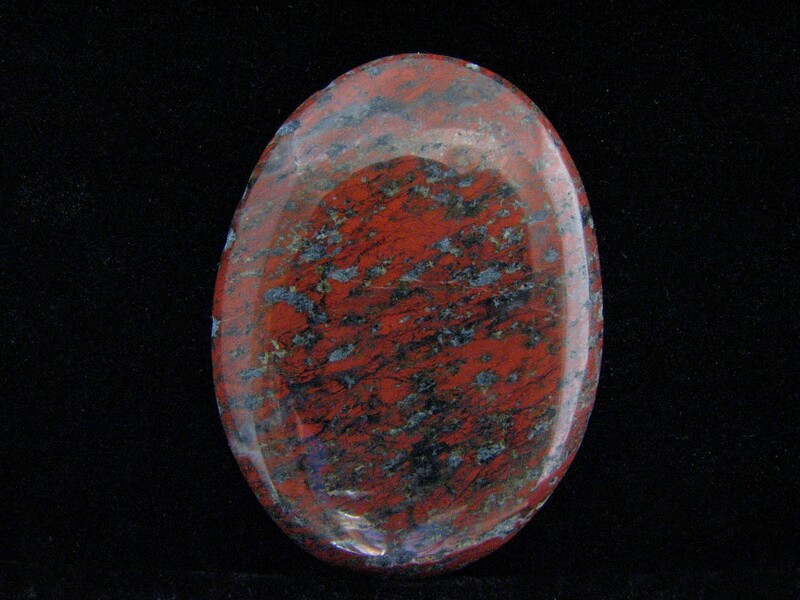 A high quality jasper cab. This beautiful Agatized Dinosaur Bone Designer Cabochon features a colorful array of red, black, and gray. A really nice piece for pendants. Measurements are 5 x 26 x 36 mm. These are assorted Amethyst and Lace Designer Cabochons. The price is per cab. Please click “CONTACT US” and send an email if you need the exact dimensions or a more detailed description of the cabochon you like. After completing your purchase, please email us the number of your cabochon and it will be shipped. This Amethyst Crystal is dainty and stylish. 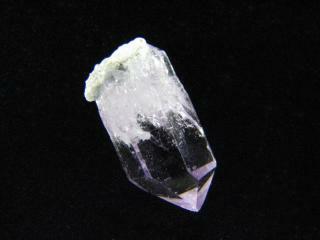 Found in the Erongo Desert in Namibia, this semi-precious jewel has a faint lavender color and measures 3 x 16 mm. Perfect for a small elegant pendant. 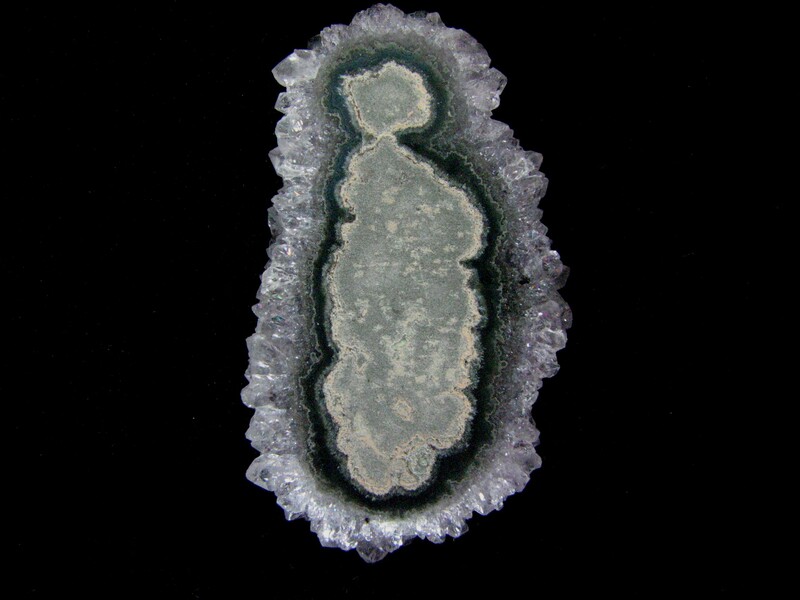 This beautiful and unusual Brazilian Amethyst Flower Designer Cabochon is a stalactite cross section which can make a beautiful pendant. 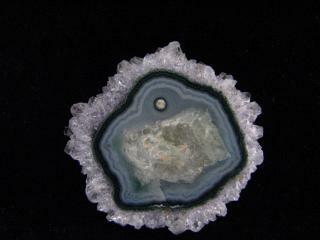 It’s surrounded by amethyst crystals and measures 4 x 30 mm. This beautiful and unusual Brazilian Amethyst Flower Designer Cabochon is a stalactite cross section. It will make a beautiful pendant. The circumference is covered with intricate amethyst crystals. Measurements are 4 x 28 x 49 mm. These are genuine fossilized Ammonite Designer Cabochons from Morocco. The price is per cab. Please click “CONTACT US” and send an email if you need exact dimensions. After completing your purchase, please email us the number of the cabochon you would like shipped. These are various types and sizes of Assorted Designer Cabochons. The price is per cab. Please click “CONTACT US” and send an email if you need the exact dimensions or a more detailed description of the cabochon you like. After completing your purchase, please email us the number of your cabochon and it will be shipped. These are Assorted Designer Cabochons from Oregon. The price is per cab. Please click “CONTACT US” and send an email if you need the exact dimensions or a more detailed description of the cabochon you like. After completing your purchase, please email us the number of your cabochon and it will be shipped. These are 28x38mm (+/-) Assorted Oval Shaped Designer Cabochons. The price is per cab. Please click “CONTACT US” and send an email if you need the exact dimensions or a more detailed description of the cabochon you like. After completing your purchase, please email us the number of your cabochon and it will be shipped.